Talks between Disney and Fox restarted which could possibly see popular Marvel franchises such as Deadpool, X-Men and the Fantastic Four join the MCU. Before Marvel became the powerhouse it is today they sold film rights to companies such as Sony and the aforementioned Fox, since the rise of Marvel Studios comic book properties such as Iron Man, Thor and the Guardians Of The Galaxy have seen their stock rise. However as result of this popularity staple titles such as the X-Men and the Fantastic Four, titles which were integral in Marvel and founder Stan Lee’s early success, have suffered with cancellations and drops in readership. One of the underlying factors is the fact Marvel and Disney are refusing to promote comics for films they don’t have the rights too. However this could all change soon as Disney, who own Marvel Studios have resumed talks with Fox. According to The Guardian media ‘mogul’ Rupert Mordoch has reopened talks to sell most of his company, 21st Century Fox and Sky, to Walt Disney, with negotiations mainly focused on their Fox films studio. 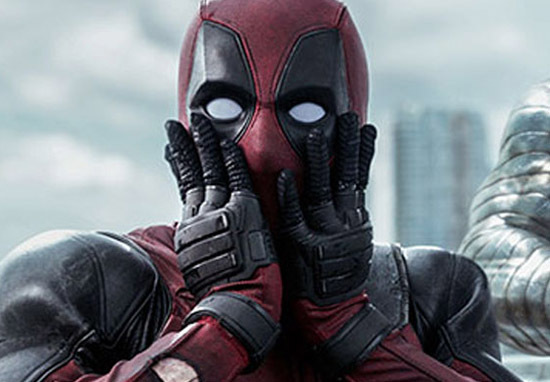 Talks between the two were first revealed in early November however an agreement could not be met and a potential deal, which could’ve seen Deadpool and the X-Men, finally join the Avengers, fell through. However, this latest development offers Marvel fanboys and comic aficionados a small glimmer of hope. Deadpool himself, actor Ryan Reynolds, is keen on pairing the ‘Merc With A Mouth’ alongside Earth’s mightiest heroes. Just the idea of Wade Wilson and Wolverine finally suiting up alongside Captain America and Spider-Man has me getting nerdgasms, despite the reality it may not come to fruition. The reason why this may be highly unlikely is due to the fact Fox could stand to lose a lot of money (in the long run) if they sell off the film rights to Marvel and Disney. Despite the massive amounts of money Disney and Marvel would have to fork out it’s considered likely they’d make it back and then some. Furthermore Fox have invested too much in the X-Men properties for them to let it go now, as well as a sequel to the highly successful Deadpool they still have huge plans for the X-Men universe. Next year will see a new X-Men film titled The New Mutants, they are also working on an R-Rated film based on mutant character ‘Multiple Man’ with James Franco playing the main character. There’s also a planned X-Force film in the works and a Channing Tatum-led Gambit film. This might just be our favorite crossover event – Avengers vs X-men! What’s yours? ?#avengersvsxmen #avengers #xmen #captainamerica #cyclops #marvel #marvelcomics #tradepaperback #igcomicfamily #comicbros Things have never been the same since! It’s still nice to dream though, can you imagine what it would be like if they adapted the Avengers Vs X-Men event for the big screen?